Do you represent a West Virginia State Government Agency and wondering how you should archive all your web and social media content? Are you trying to determine what you need to do both from a legal and a technical point of view? Here’s a guide to the different Laws and processes you should follow. What Laws govern Records Management in the State of West Virginia? The West Virginia Freedom of Information Act governs access to social media and open records in the state of Alabama. (Freedom of Information Act W.Va. Code§ 29B-1-1 et seq.) The provisions of this article shall be liberally construed with the view of carrying out the above declaration of public policy. (The Open Governmental Proceedings Act W.Va. Code§ 6-9A-1 et seq. governs Open Meetings in West Virginia which are often relevant to the archiving and making available of public records). 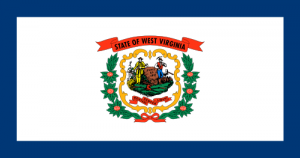 Do West Virginia State Records Laws include Website and Social Media content? West Virginia law defines public records as “any writing containing information relating to the conduct of the public’s business, prepared, owned and retained by a public body”, whilst “writing” includes any books, papers, maps, photographs, cards, tapes, recordings or other documentary materials regardless of physical form or characteristics. Due to the wide and expansive scope of this legislation, the Freedom of Information Act applies to every branch of government, and no agency is entirely exempt from its provisions. ‘Public body’ means every “state officer, agency, department, including the executive, legislative and judicial departments, division, bureau, board and commission; every county and city governing body, school district, special district, municipal corporation, and any board, department, commission, council or agency thereof; and any other body which is created by state or local authority or which is primarily funded by the state or local authority”. W. Va. Code § 29B-1-2(3). As stated previously, records that “exist in magnetic, electronic or computer form” must be made “available on magnetic or electronic media, if so requested”. It is most common, practical and efficient today for agencies to obtain records in their original, electronic formats. Bodies subject to West Virginia Freedom of Information standard must maintain and make available records from electronic databases in any tangible medium identified by the requester – include in an authorised online format or delivery via electronic communication, if that medium is used by the public body in the discourse of business (such as email, website and social media). No public body shall be required to produce records from an electronic database in a format not regularly used by the public body. However, the public body shall make reasonable efforts to provide records in any format under such terms and conditions as agreed between the requester and public body. How can we transfer website archives made with PageFreezer to the West Virginia State Digital Archives? PageFreezer exports all data on request in the original file format including the required metadata. This data set can be transferred by FTP or by other means to the West Virginia State or Agency Digital Archives.